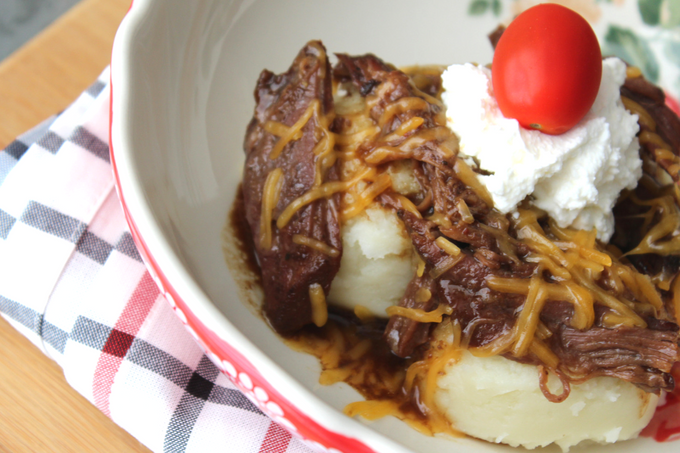 Last week I posted this recipe for Slow Cooker Beef Pot Roast With Gravy. As much as I love roast beef, sometimes there are just SO many leftovers. 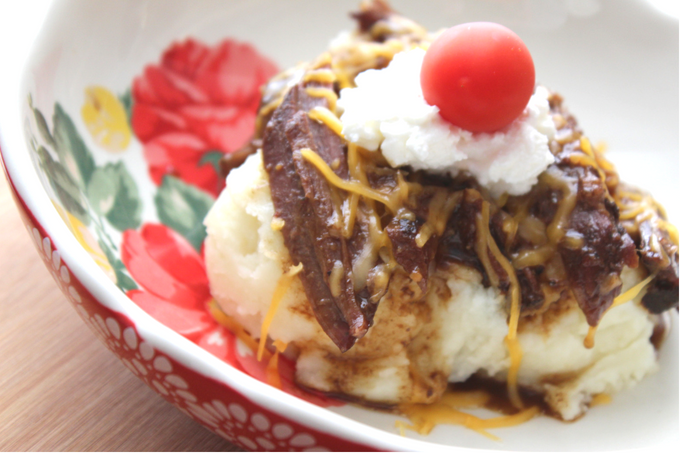 One of my absolute favorite ways to use those leftovers is making an Iowa State Fair Hot Beef Sundae. 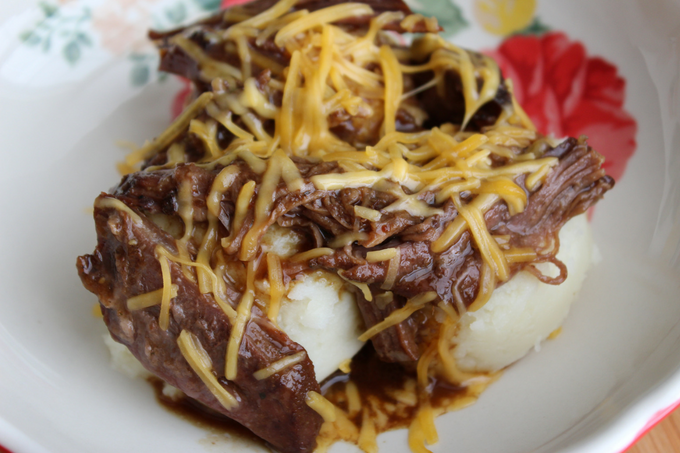 I first had this recipe at the Iowa State Fair’s Cattlemen’s Beef Quarters. 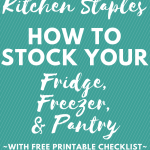 It quickly became a fair food staple for me. 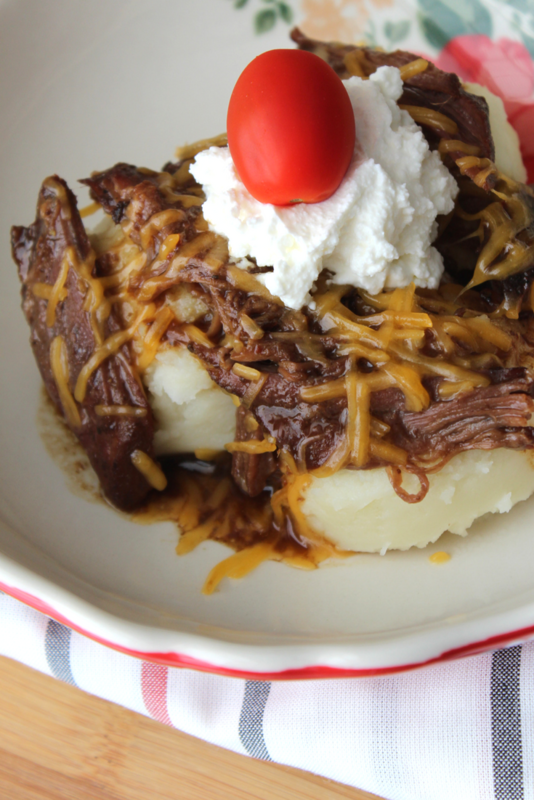 Now you may be asking… What exactly is a Hot Beef Sundae? Well stick with me and I will show you. 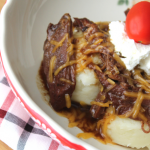 Each ingredient of the Hot Beef Sundae has an element of a “regular” sundae. 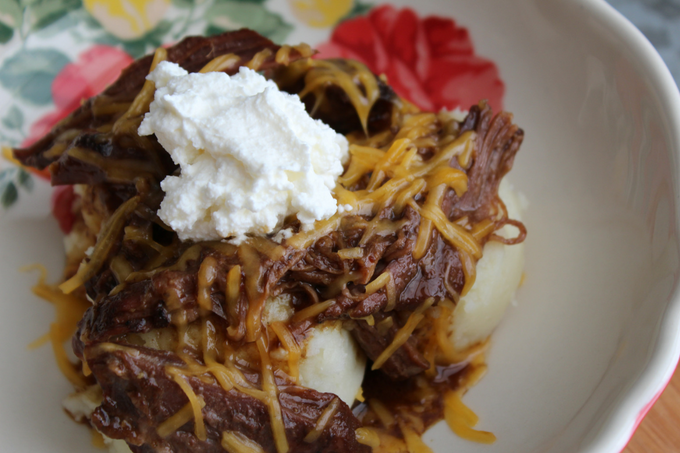 A dollop of Sour Cream = Whipped Cream! And, of course, a Cherry (Tomato) on top! You have a Hot Beef Sundae! It really is a no-fail dinner. 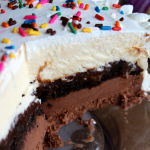 And one that doubles as a leftover – makeover recipe. 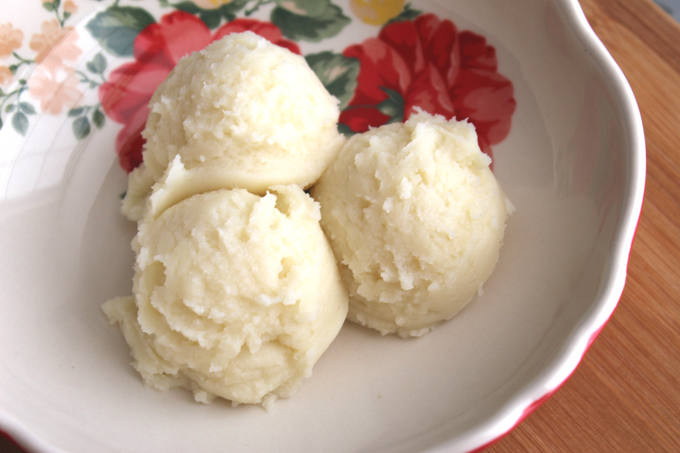 Into four individual bowls, spoon a 1/2 cup of mashed potatoes into the bottom. 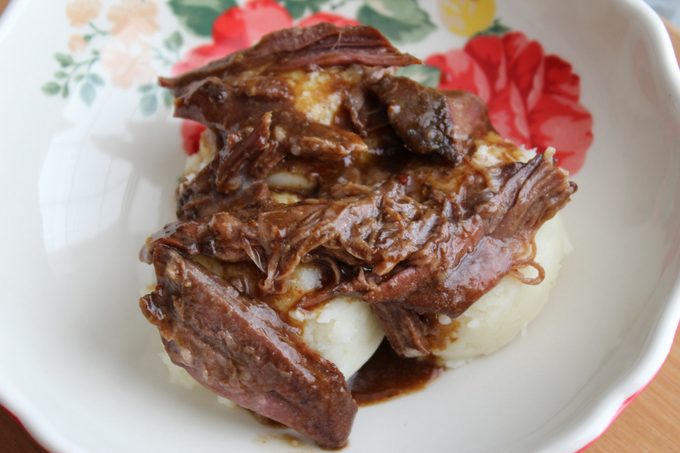 Top mashed potatoes with a 1/2 cup heated leftover roast beef with gravy. 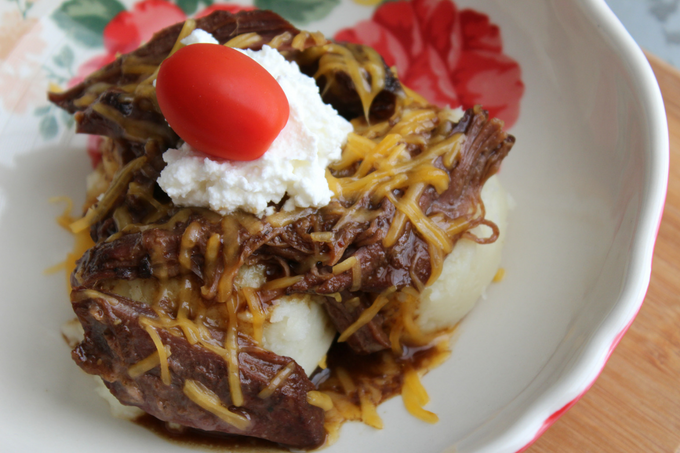 To finish top each "sundae" with 1/4 cup shredded cheddar cheese, 1 tablespoon sour cream, and a cherry tomato.